BigPr.es is a BigCommerce WordPress plugin that connects your BigCommerce catalogue with your WordPress blog to turn readers into buyers. Learn more about how to integrate BigCommerce and Wordpress. As digital marketers assemble their goals for 2019, increasing organic traffic is guaranteed to be at the top of many lists. And for most sites, that’s a pretty simple goal to achieve. Conduct keyword research, identify top keywords to rank for, create compelling content aimed at your target personas, rinse and repeat. For eCommerce websites, things aren’t that different. Add some relevant products inline, provide a solution, create an offer and sit back while the conversion rate rises. It should be that simple, but in practice, not so much. Read on to learn about the BigCommerce WordPress plugin that you should be using to integrate these two platforms. Why Use a WordPress BigCommerce Plugin? If you’re using an eCommerce platform like BigCommerce, blogging with WordPress creates a few hurdles for your content marketing. Specifically, showcasing products in your posts to drive sales. It’s possible, but it’s a very clunky and time-consuming experience. Many marketers simply forgo merchandising their blog because of the hassle of cutting and pasting products. We consistently heard one refrain, over and over: “Why can’t I integrate BigCommerce with WordPress?” And so we set out to solve that problem. Enter BigPr.es. 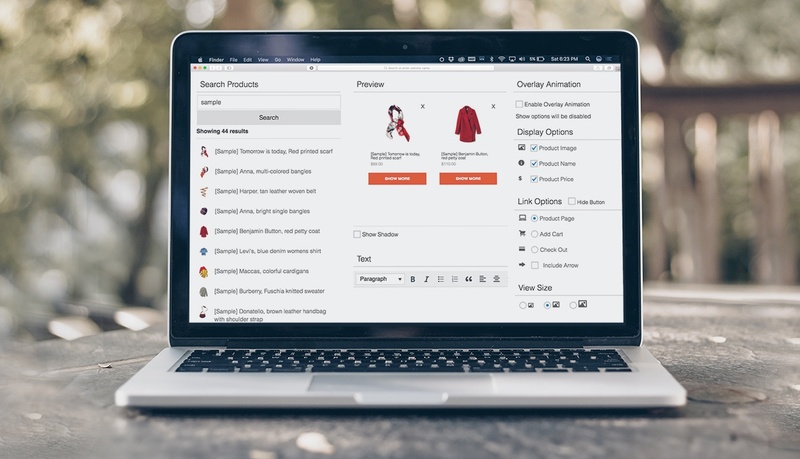 We created first premium Wordpress plugin that allows marketers to easily showcase merchandise from their BigCommerce catalog on their WordPress blog. This powerful plugin can take your inbound strategy to the next level – allowing you to monetize your blog and turn readers into buyers. And because your entire BigCommerce catalog is now one click away, you can save time and make money, bringing your content strategy full circle. With BigPr.es, you can search your entire BigCommerce catalog without ever leaving WordPress. And because BigPr.es will automatically update all pricing info on your blog, you can rest easy knowing all changes will be reflected. But the best part about BigPr.es is the intuitive interface. It really is so simple to use, you’ll wonder how you ever lived without it. So as you prepare for 2019, be sure to consider content marketing for your eCommerce store. And if you are a BigCommerce website development customer, check out BigPr.es today. Your CFO will thank you!